A huge welcome to the new year 6. Everyone has settled well into the new routines and responsibilities of year 6. What a lovely, friendly, enthusiastic class. PE lessons are on Mondays and Fridays, please make sure kits are in school. Monday's lesson is usually outside (weather permitting), remember jogging pants can be worn as the weather becomes colder. Please could all children have appropriate footwear - trainers for outside and pumps for inside. Suitable footwear is essential to help avoid accidents. Homework will be given out on a Wednesday and must be returned by Monday at the latest. Thanks for your cooperation. Spellings to be tested on a Monday morning - there are games on the website below to help learn the spelling rules. If you would like your child to walk to or from school alone, please could you send a letter into school to let us know. Please encourage your children to play the games below. Have fun everyone whilst revising SPAG. As SATS approach, you might find this short video interesting. Please support your children whilst learning their weekly spellings. 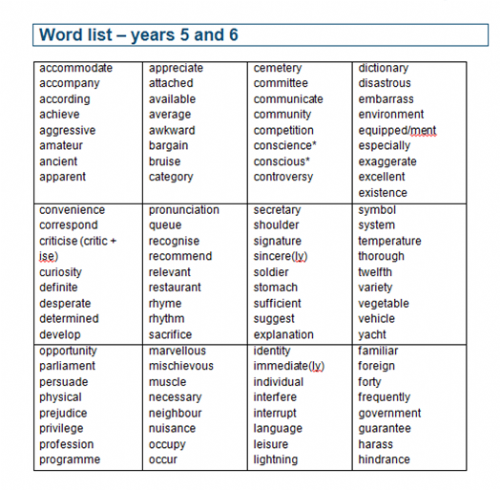 This is the year 5/6 word list - they will be tested on some of these spellings during SATS. 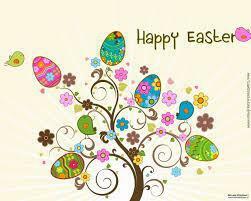 Happy Easter to all Year 6 and their families. Please be proud of yourselves Year 6 - your writing is improving in leaps and bounds, I am thoroughly enjoying reading your Luck Dip stories. 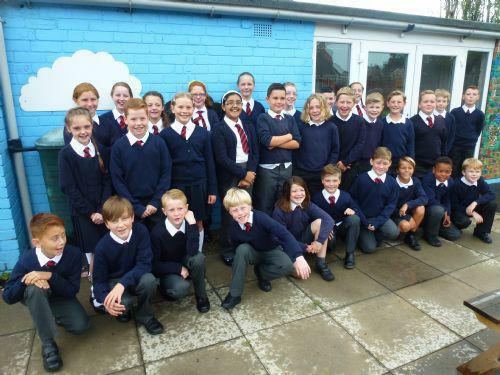 Well done to all Year 6 - you took SATs and in your stride and worked your socks off! !